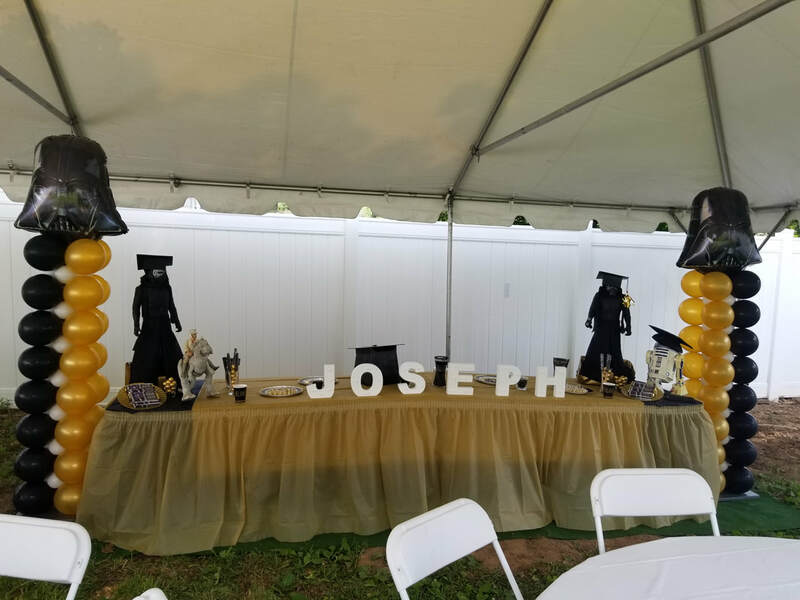 For this party, I created two balloon columns in black, gold and white. 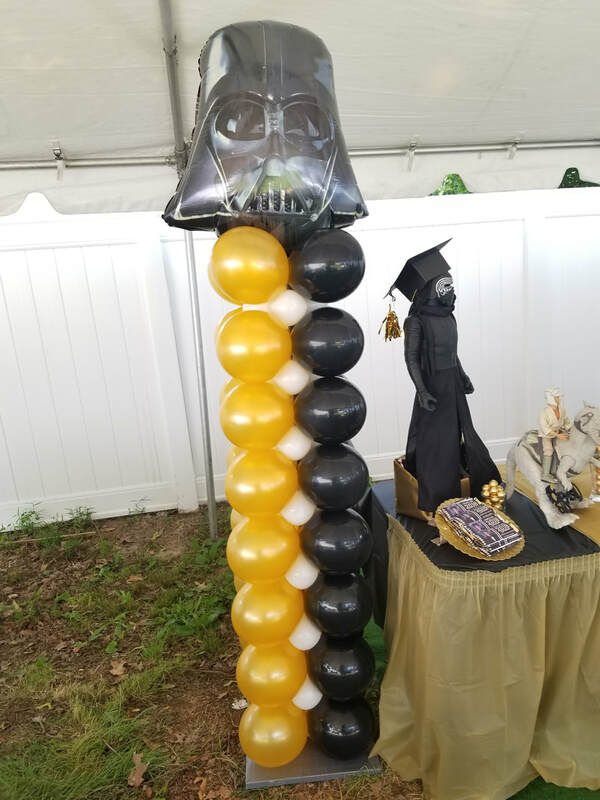 The column topper was a large Darth Vader foil balloon. 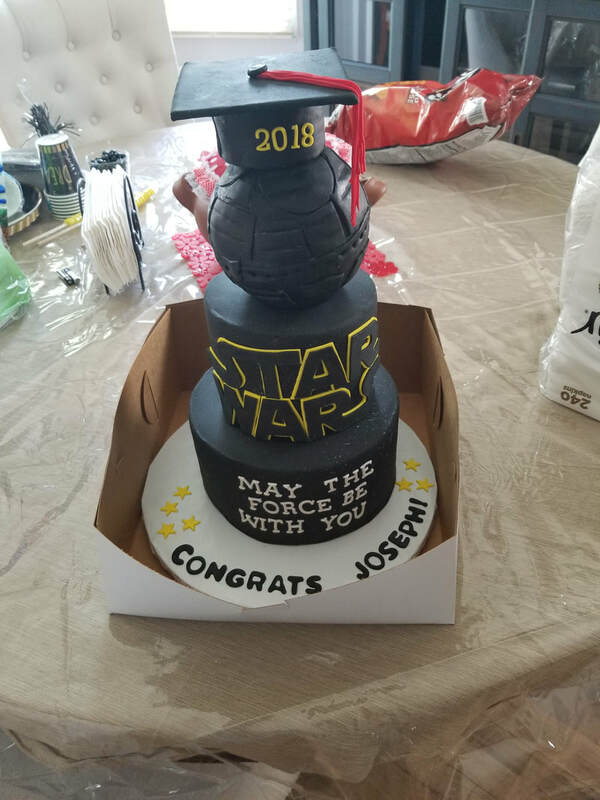 I loved the cake.